Microsoft just recently released the all-new Edge browser based on the Chromium project. The new Edge browser is pretty darn awesome. At least for me, it is faster than the Google Chrome while still using less memory. Though the new Edge browser is still under development, if you want to, you can install it on your Windows 10 machine. In case you are wondering, follow the below steps to download and install chromium Edge browser in Windows 10. As of writing this, the new chromium based Edge browser is still in development. Microsoft is releasing the new chromium edge builds in three different channels. i.e, canary, dev, and beta builds. Since these are essentially pre-alpha, alpha, and beta builds, they can be quite buggy and unreliable at times. Of course, the number of bugs you encounter depends on which build you chose to install. In case you are wondering, here are what the build channel names actually mean. Beta Channel: This channel is updated every six weeks and the builds are quite stable. This is because the dev and canary channel insiders have already tested the build for a few weeks and Microsoft has time to fix the found issues. If you are looking for the most stable version of development build then go with this channel. Dev Channel: The dev channel is updated once every week. With this channel, you will get access to the cutting edge features and better stability compared to the canary channel. This is because most of the new features are tested for a week by the Edge team and canary channel insiders. If you want to test new features as soon as possible while still having a bit of stability then go with the dev channel. Canary Channel: This channel updates every day. If you are adventures and want to see what the Edge team is working on then this build is for you. Since there is almost no testing, the canary builds can be quite buggy and unstable. Only choose this channel if you don't mind staying on the cutting edge and instability. 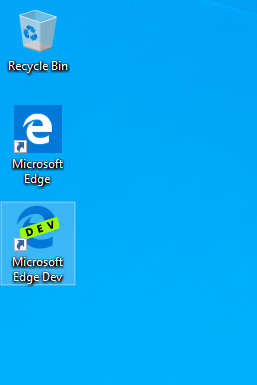 So, Which Channel Should I Choose to Test the New Edge Browser? Well, that is simple actually. If you want your build to be as stable as possible then go with the Beta Channel. For a good balance between being able to test new features and stability, go with the Dev Channel. If you are adventures, want to be the first one to try new features and don't mind bugs and instability then go with Canary channel. 1. To download the new chromium browser, go here, and click on the download button below the channel of your choice. In my case, I'm downloading the Dev channel build as it is much more stable than the canary build while giving me early access to new features. 2. Once you download the installer, double-click on it. 3. This action will open the installer, downloads the new Edge build and installs it automatically. 4. 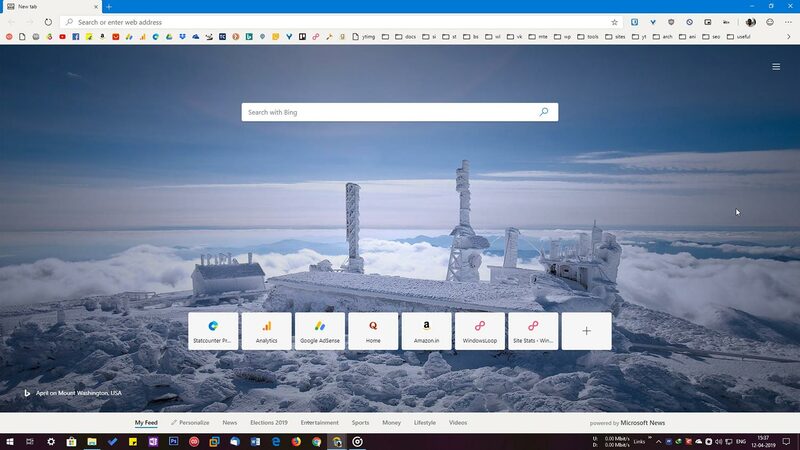 After installing, you can open the new Edge browser by double-clicking on the desktop icon or by searching for it in the start menu. 5. As of now, this is how the Edge browser looks like. 6. If you want to, you can pin it to the taskbar. Just right-click on the new Edge icon and select "Pin to taskbar". In case you are wondering, yes, you can install chrome extensions in the Edge browser. You can uninstall the Chromium Edge browser like any other application in Windows 10. To uninstall the new Edge browser, open the Settings app, go to "Apps -> Apps & Features" page. On the right panel, find the new Edge browser from the list, click on it and then click on the "Uninstall" button. In the pop-up, click on the "Uninstall" button again. 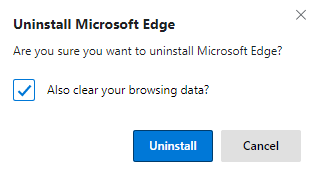 You might see a confirmation window, simply click on the "Uninstall" button and the new chromium edge browser will be uninstalled. That is all. It is that simple to install the new Chromium Edge browser in Windows 10. If you like this article, do check out how to uninstall internet explorer in Windows 10 and how to enable Windows 10 Sandbox.